Computer Cable Store™ 110 Connect XC System Patch Cord Plug Kits - 2 Pair - 25 pack is excellent for termination of Cross Connect patch cords for voice and data applications of up to and including Enhanced Category 5 performance. 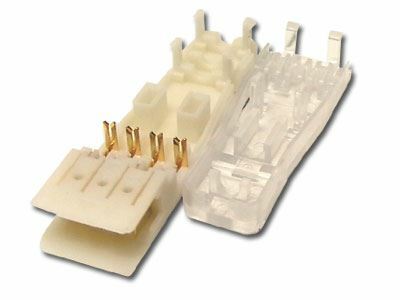 Each kit includes an upper plug housing as well as a lower plug assembly with insulation displacement contacts. The kits will terminate to patch cords having diameter ranges specified below.